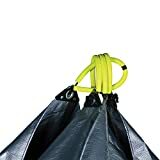 The cool new Leaf and Yard Waste Collection Tarp is a versatile heavy duty tarp designed to lay flat while you rake in leaves or collect trimmings, weeds, and other lawn debris and then folds up to be easily lifted and transported to a compost bin or collection bag. 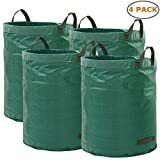 It features a generous 7' x 5' size, sturdy internal rods to keep it flat on the ground, built-in handles for easy carrying, long-lasting double-stitched PVC-backed nylon material, and it all breaks apart for compact storage. 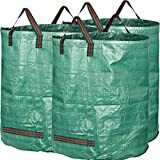 It's also perfect for transporting and distributing mulch, collecting a vegetable harvest, or even used as a temporary truck liner. A great lawn care solution.